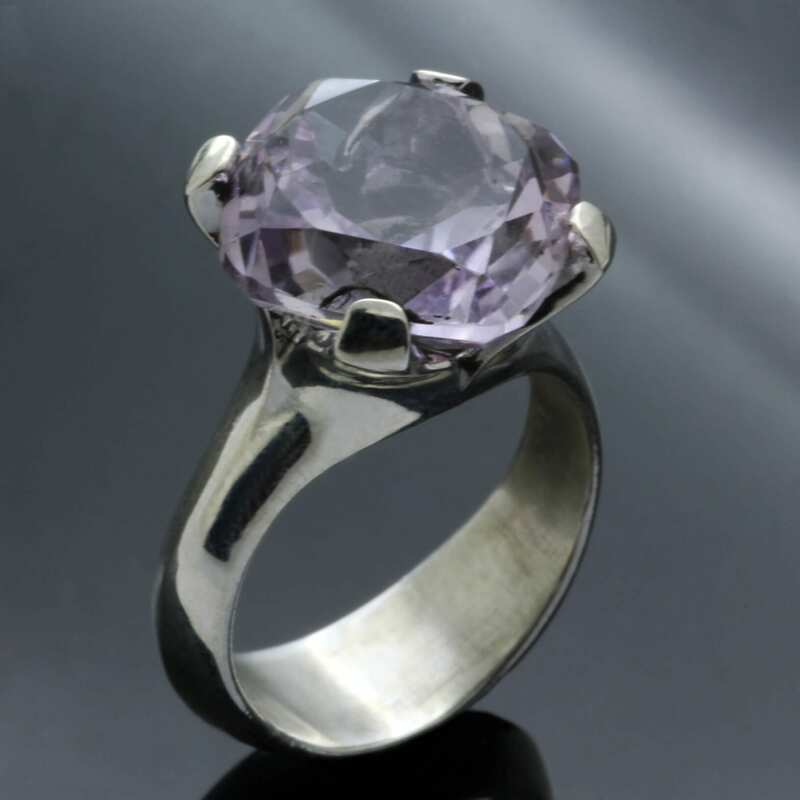 A glorious contemporary addition to Julian Stephen’s ‘Cocktail’ capsule collection, this handcrafted statement ring showcases a Lilac Amethyst gemstone surrounded by a sleek contemporary solid Sterling Silver ring shank. 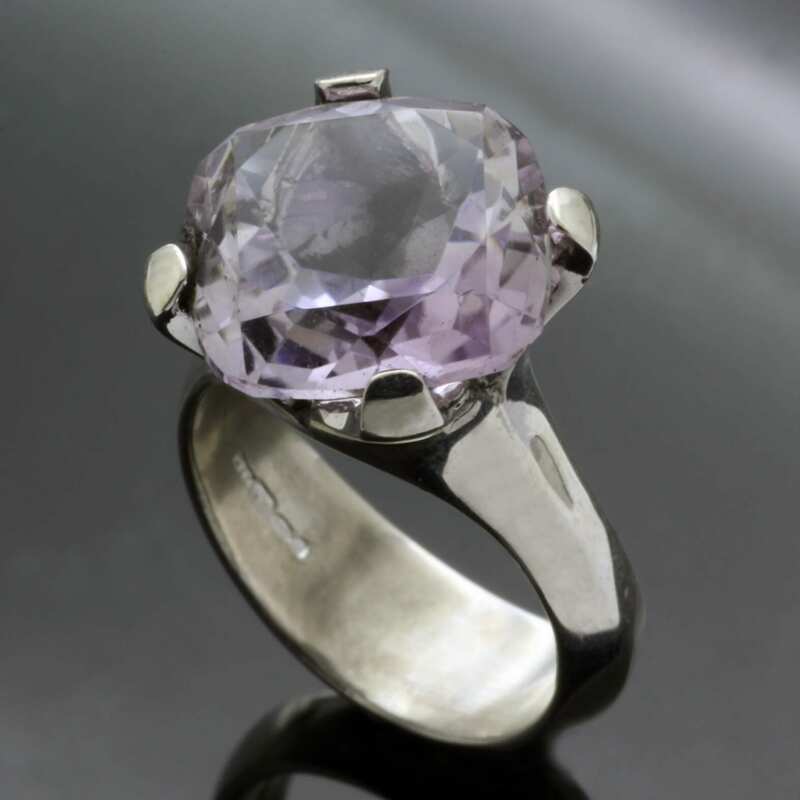 Julian has specially selected this Cushion cut faceted Amethyst gemstone in a beautiful pale hue, expertly setting this beautiful gem in a slick and modern ring design of his own invention. 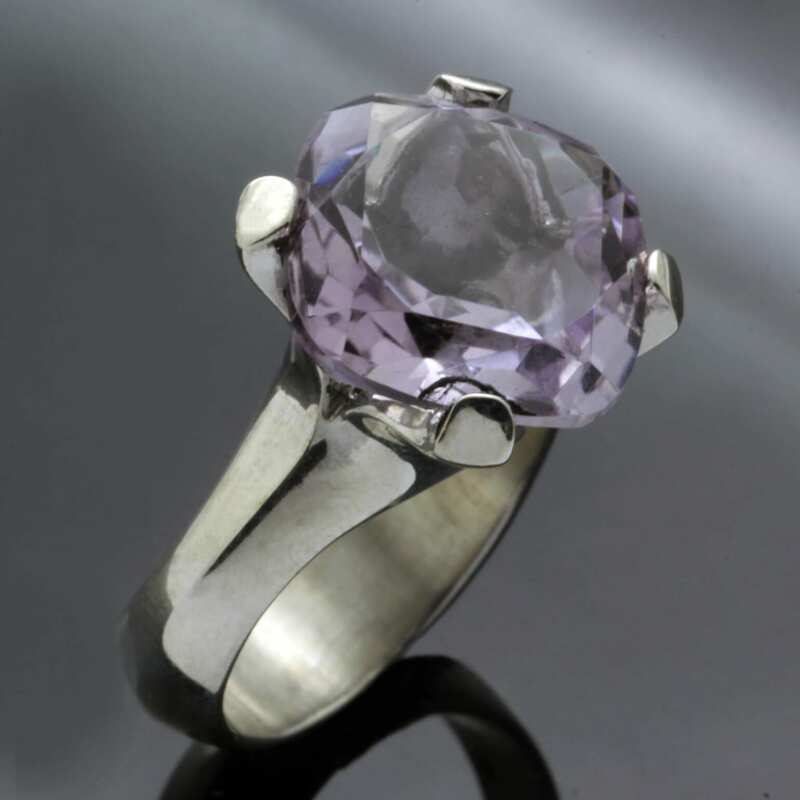 This unique statement ring design is inspired by a classic claw ring setting which allows as much light as possible to pass through the beautiful facets of the gemstone to maximise the dazzling, alluring sparkle and enhancing the soft, lilac pastel hues of this precious Amethyst gem.